Add some flair to your run, workout or visit to your favorite park. Thanks to its velvet lining and elastic back panel, this enchanted handmade headband will stretch to fit and stay in place comfortably no matter how intense your activity may be. Makes a great gift! 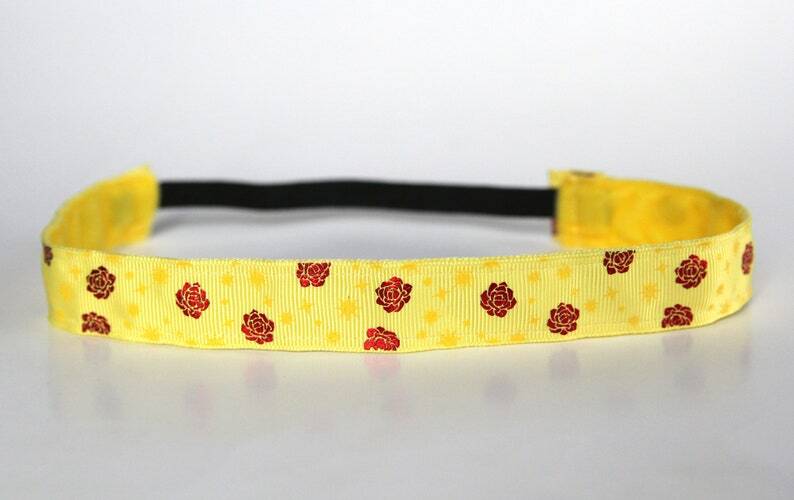 This grosgrain ribbon features a yellow background with tiny yellow stars and red foil roses. Coordinating yellow velvet ribbon on the inside keeps the band in place. If you need a size adjustment, please convo me and I'll be happy to accomodate your request.